National Coalition for Strengthening SCs and STs (PoA) Act (NCSPA), a platform of more than 500 Dalits and Adivasis civil society organisations, communities, leaders and activists expresses serious concern over the Supreme Court Judgment that diluted provisions related to anticipatory bail and immediate arrest under the SCs and STs (PoA) Act 1989. The ruling dilutes the very purpose of the progressive legislation, a legislation meant to protect the marginalized communities from caste based atrocities and discrimination. It is surprising to note that the apex court in its judgment dated 20.03.2018, failed to recognize increase in atrocities against Scheduled Castes by 5.5% in 2016 (40,801) over 2015 (38,670) and increase atrocities against Scheduled Tribes by 4.7% in 2016 (6,568) over 2015 (6,276). The hon’ble apex court further failed to recognize the low disposal rate by courts in the recent years. A total of 144979 cases of atrocities against SCs and 23408 cases of atrocities against STs came for trial in the court and out of these in only 14615 cases, trials were completed for the cases against SCs and 2895 cases for STs. At the end of the year 89.6 % of cases for SCs and 87.1% for STs remained pending trial. The apex court instead of recognizing the low conviction percentage, which remained at 25.7% for SCs and 20.8% for STs for the year 2016 and the high acquittal percentage which ended with 74.2% for SCs and 79.2% for STs, made its observation on the basis of a small number of cases which found to be false, 5347 for SCs and 912 for STs after the investigation. The judgment has not looked at the reasons for high number of increase in atrocities, low conviction rate and high acquittal rate and analyzed its reasons. Some of the well known hurdles and are shoddy investigation, incorrect and biased recording of victims and witnesses statements during investigation, filing of improper charge sheet and undue delay in filing charge sheets, in appropriate support mechanisms to the victims and witnesses by the investigating officers and public prosecutors and, as a whole, by the trial court. On the other hand there are hardly cases where the public servants have been convicted under Section 4 of the SCs and STs (PoA) Act 1989 for the above-mentioned willful neglect of their duties to be performed under the PoA Act. The amendments to the Act came in force in year 2016 and but the concern remains the implementation of the amended Act, as the experience says that even after the passage of more than one year the new provisions of SCs and STs (PoA) Amendment Act 2015 are not being enforced in a proper manner. The trends of gruesome atrocities against Dalit and Adivasis shows the same picture. It is pain to note that the court did not recognise the procedural hurdles and apathy of the State in implementing the provisions. Dalits and Adivasis communities suffering from inhuman atrocities like murders and mass-murders, social boycott and economic boycott, mass arsons, rapes, gangrapes etc on a daily basis all over India. These are few examples and many of the cases go unreported and are compromised. It is to be noted that Section 15 A of the newly amended Act, under victims and witnesses rights provided that a victim shall have the right to be heard in respect of bail, discharge, release, parole, conviction and sentence and similarly many other provisions. The question remains the same if the progressive provisions under the Act have actually been implemented by the authorities in its true sense. The provision of the SCs and STs (PoA) Act, including the bar on anticipatory bail and immediate arrest of the accused has to be viewed in the context of prevailing social conditions and the apprehension that perpetrators of such atrocities are likely to threaten and intimidate the victims and prevent or obstruct them in the prosecution of these offenders during the whole trial process, if they are granted anticipatory bail or are not arrested immediately. The interpretation of the apex court of such provisions will further bring a loophole for the perpetrators of crime to evade the law, and hamper the whole trial process. When a provision has been enacted in the Special Act to protect the persons who belong to the Scheduled Castes and the Scheduled Tribes such provisions in the Special Act cannot be easily brushed aside by interpretation /discussion. The SCs and STs (PoA) Act 1989 is a special enactment. 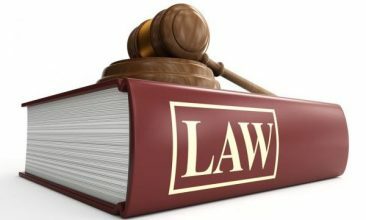 It is not much in dispute with regard to the proposition of law that when there is a conflict between the provisions of the Cr.P.C and the special Act, the provisions enumerated under the special Act will prevail over the Cr.P.C. The scope of Section 18 of the SCs and STs (PoA) Act 1989 read with Section 438 of the Code is such that it creates a specific bar in the grant of anticipatory bail. When an offence is registered against a person under the provisions of the SCs and STs (PoA) Act 1989, no court shall entertain an application for anticipatory bail. Even if considering the application, scope for appreciation of evidence and other material on record is limited with court. The court is not expected to indulge in critical analysis of the evidence on record, which is a matter of trial. We are disturbed by this systemic pattern of impunity by the Judiciary. This has created a climate of fear and oppression in the country, and continually violates fundamental human and constitutional rights of Dalits and Adivasis. We stand in support of the victims and witnesses and call upon the Judiciary and the Central government to review the Judgment on a priority basis and desist those, from such disgraceful attempts of suppressing the voice of Dalits to access legal remedies. We also appeal to the civil society to circulate this information widely within your reach.